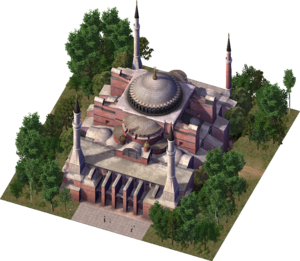 Hagia Sofia is a Landmark Building in SimCity 4. It is a recreation of Hagia Sophia in Istanbul, Turkey, completed in 537. This page was last modified on 7 February 2014, at 06:48.